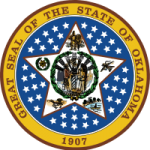 Oklahoma child support laws provide for the care and support of children of divorced and separated parents. The laws provide that children have to be financially supported until the age of eighteen or they graduate from high school. The Oklahoma statutes also provide for health and education expenses for the children and require that the courts take those factors into consideration when issuing a support order.